2go Travel Promo Fare: While the tropical depression SAMUEL is leading its way out of the country, it is important we keep ourselves prepared and updated of the latest travel advisories especially if we board in a sea vessel. The safety of the passengers and the vessel crews is the paramount concern above all. 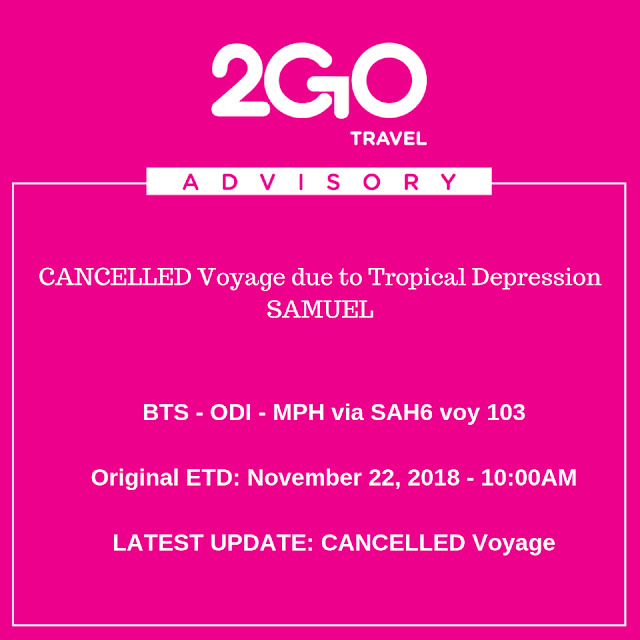 For more promo fares, pls. click the links at TOP, SIDE or BOTTOM part of this post. 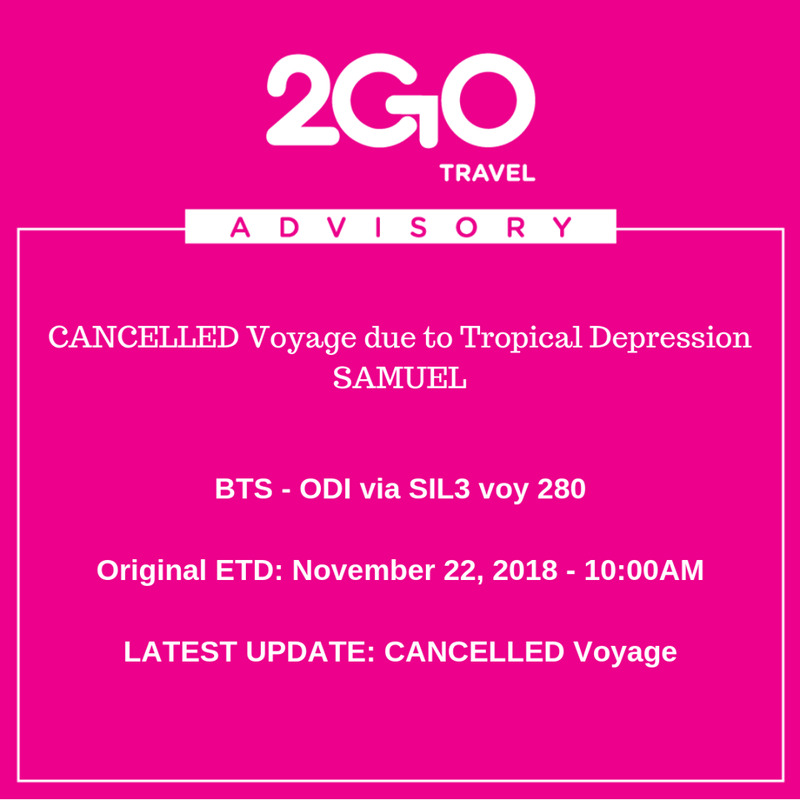 All passengers of 2Go Travel should take note of this advisory for the safety of everyone else.